In 1965, Bob Dylan shocked the world by ‘going electric’. 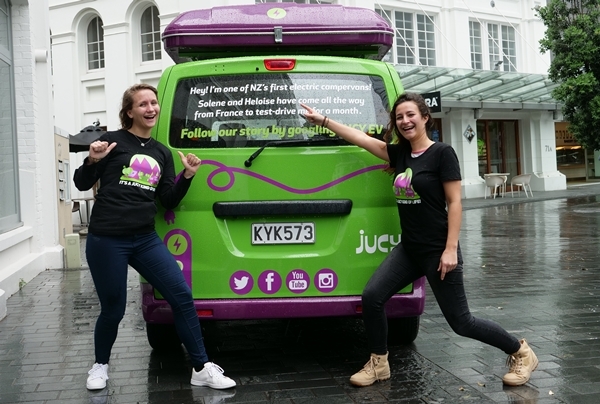 Soon enough, thousands of tourists may finally follow suit thanks to the bright sparks at Juicy Campervans. The company aims to trial a new category of electric vehicle with two French tourists visiting approximately 30 destinations across the North Island. If the trial is deemed successful, Kiwis escaping the rat race to tour our countryside could also benefit, as Jucy CEO, Tim Alpe, explains. He says electric campervans will serve a market seeking more environmentally sustainable travel options with cheaper running costs. However, the feasibility of ‘going electric’ will depend on the availability of charging stations.